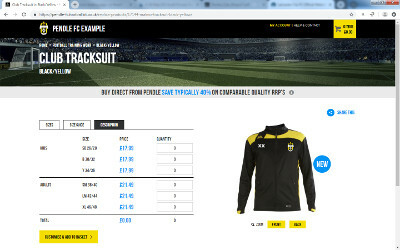 Creating an online store for your club is surprisingly simple. It will save you time and administrative hassle and could generate much-needed funds for your club. Online shopping has a wealth of advantages over traditional shopping. The shop is open 24 hours a day, meaning you can purchase goods at any hour of the day or night, or buy goods on the move via your phone. Buyers can track stock levels and find related items easily, and you can keep a record of your purchase history, making repeat purchases a piece of cake. Compare this to the traditional model of the football club kit secretary: a harassed individual – often a volunteer with no retail experience – who has to give over half their attic / garage / wardrobe space to mismatched items of kit, doesn’t know if there’s ever going to be demand for half of the stuff, doesn’t have a ready inventory of what’s in stock and is only ever one pair of shorts away from a complete meltdown. Moving your kit purchasing online is better for your club and members, will save your club precious money and volunteer resource, and could even help you bolster your club’s finances. 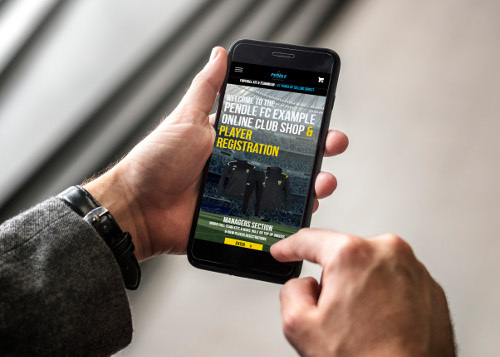 ☆ Pendle will set up and manage your club shop totally free of charge! Just let us know what you’d like to stock and we’ll do the rest. Ease of ordering: players (or parents) just need to select their size and any personalisation (numbers or initials). Look the part: everything else is how you specify – no danger of everyone turning up on matchday in different tops! Total control: as well as selecting kit options, you can specify printing options. You can choose our rebate or discount models, depending on your club’s financial strategy and priorities. If you need to purchase a full team kit, you can do it quickly and easily with all your badge and sponsorship options pre-loaded. You’ll also get the full advantage of Pendle’s generous package deals. 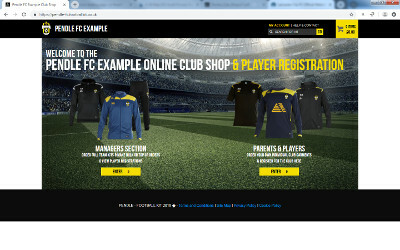 It’s easy for players or parents to get items of kit or merchandise, delivered direct to their door. As badge and sponsorship printing are already pre-agreed, your order will be ready for despatch in next to no time. You can also expand your range of club merchandise so players have the option to wrap up in a club hat or drink their favourite beverage out of a club mug.